Since the kids have been home from school, it’s been hard to stay on top of health and fitness goals. Healthy eating becomes less of a priority and eating the right foods becomes a little harder, specially when choosing foods of the right nutrients. The kids want to go to the pool, you have baseball games in the evening, afternoons and mornings are packed with swim lessons and then you have all of those travel moments to prep for. When life is busy, it’s so easy to just grab whatever is easy and forget about things like meal prepping and eating right. We work so hard during the winter and spring months, that doesn’t have to be ruined by life’s busy moments! Increasing your protein is one of the best and tastiest ways to keep your body going. Finding snacks high in protein can help fuel your next gym work out, get you through an afternoon slump and can help tide cravings when hunger strikes. Luckily, protein can be one of the most delicious nutrients. 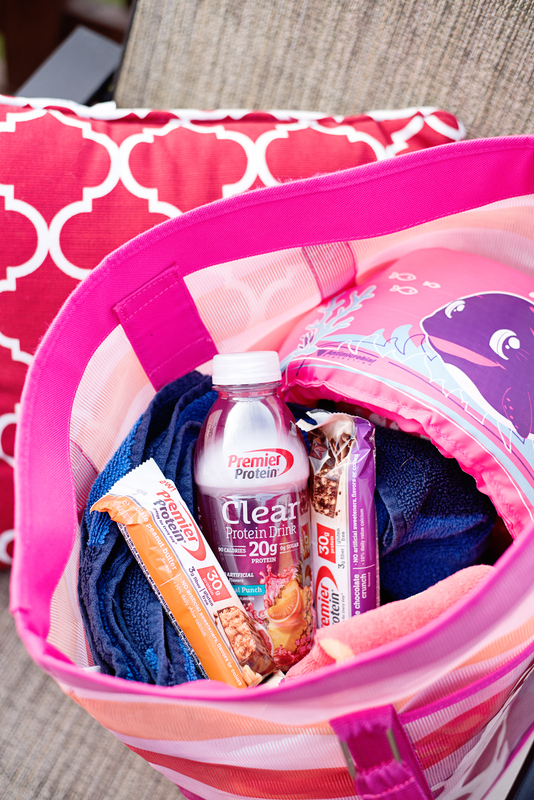 When the kids want to go to the pool, or any of the other summer activities come around, it’s good to have portable options to take along with you. To do this, make a summer bag that can go along with you. I purchased this mesh bag at Target, it’s perfect for the pool, baseball practice and has lots of room to bring everything we need.. including snacks for the kids and I! My savior during the summer months is Premier Protein Clear. 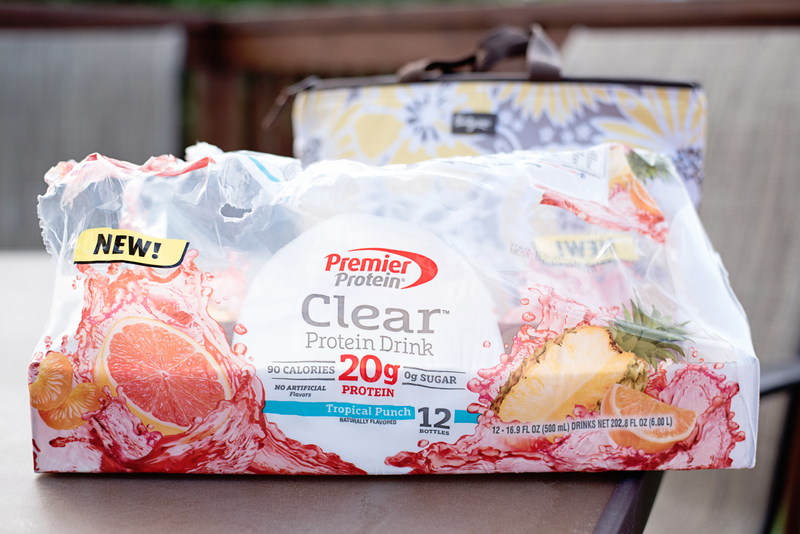 I purchase these clear protein drinks, by the case, from Sam’s Club and they are perfect when it’s warm out. Each drink is packed with 20g of protein and fit perfectly into my bag or into a shaker cup with ice. 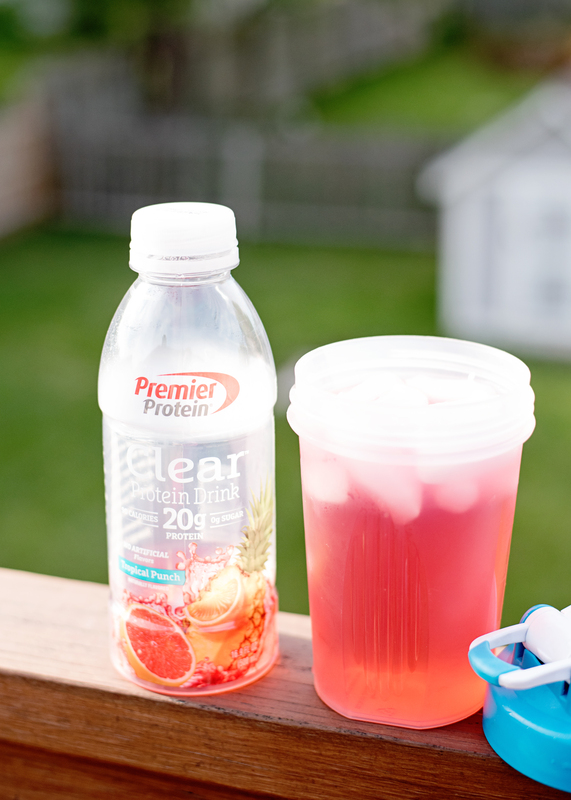 What I like about Premier Protein Clear is the refreshing taste that it has, all without the bad aftertaste that some products like this can have. These are perfect to throw into the freezer and take along with you for the day, the frozen bottle will act as an ice pack for your other foods and the ice will keep your drink nice and cold during the day. The colder the Premier Protein Clear, better the taste. 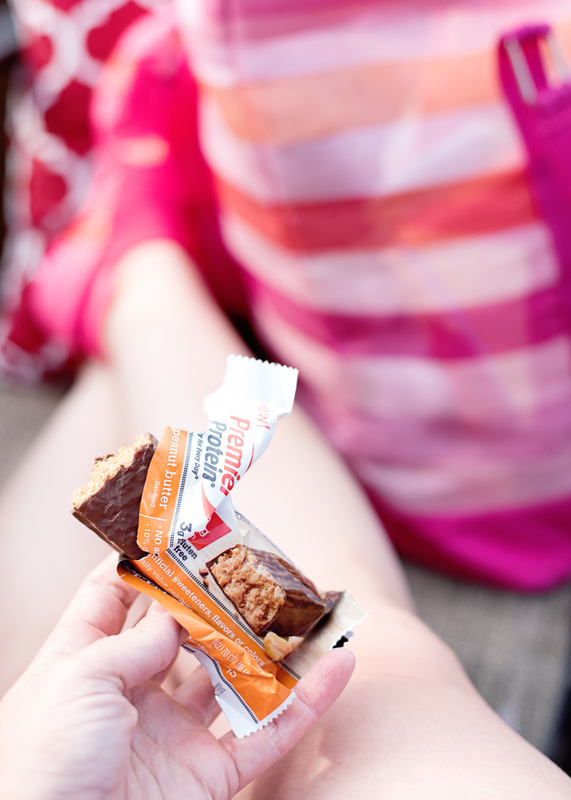 Along with the Premier Protein Clear, some of my other high protein options are the Premier Protein bars and almonds. When we head out to the pool, I even pack a small cup of watermelon for a sweet taste. The beating sun can really famish you and all of these healthy eating options can help to keep you going. My biggest advice to keeping on track with your health goals is to plan for success. I’m not just talking about meal prepping, I’m talking about planning out your food the day before. Whether you track your food in an app or not, planning your food the day before will help you know to eat during the day and takes out the guessery that happens when you are starving and standing in front of the fridge. 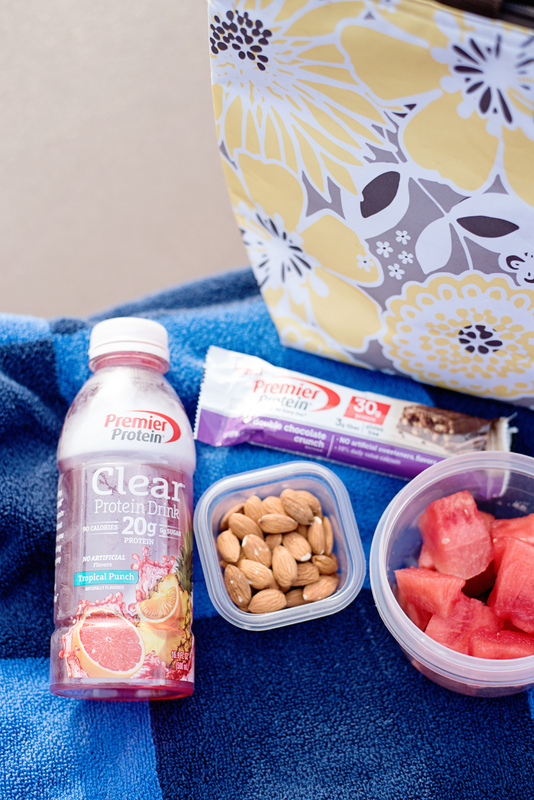 During those moments when you need quick options, and want to avoid the kid’s snacks or leftover lunch, grab things like the Premier Protein Clear or even a Premier Protein Bar. If you are going to over eat a little in your day, protein is the best macro to do that with! And you can feel good about the Premier Protein options.